The remaining five seeds in the top half of the 2016 BNP Paribas Open women’s draw all successfully advanced to the fourth round. It was a much calmer day with four of those five seeds untroubled in straight sets. 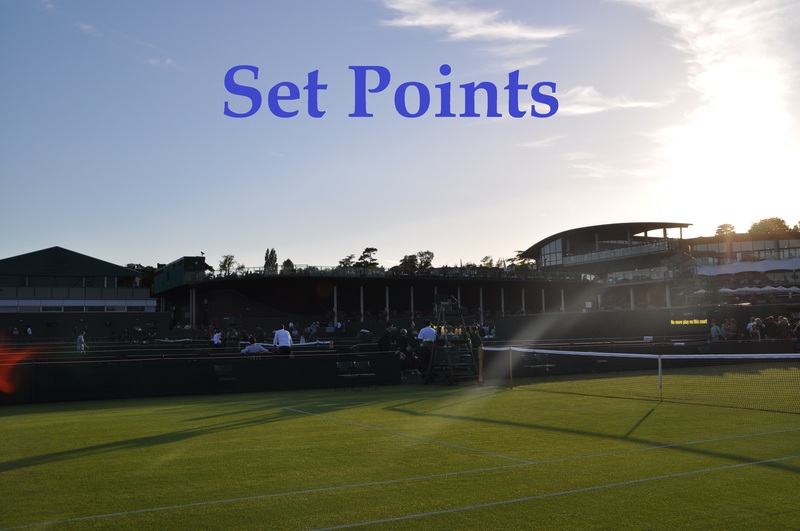 Read on for my Set Points summary of day 5 with help from Tennis Twitter. For Monday’s line-up, check out previews of Bacsinszky-Bouchard HERE and Ivanovic-Pliskova and Vinci-Svitolina HERE. Serena Williams faced a firm first set test against Yulia Putintseva; the 21-year-old Kazakh served for the first set at *5-4 and *6-5. The American had started slow and struggled with any kind of volley up at the net; however her groundstrokes were on it as she roared back into life for a 7-6(2) 6-0 victory. Kateryna Bondarenko had previously never won a main draw match at Indian Wells but is now in the fourth round after her 12th win of the year. In an all-Ukrainian slugfest, Bondarenko defeated Lesia Tsurenko, 3-6 6-4 7-6(7) in two hours and 44 minutes. The pair combined for 46 winners and a whopping 116 unforced errors. It was a BRUTAL match with Tsurenko cramping badly at the end… not nice to see. Bondarenko plays Williams in the fourth round. Agnieszka Radwanska had no problems backing up her gruelling three set win over Dominika Cibulkova on Friday as she marched into the fourth round, defeating Monica Niculescu, 6-2 6-1. The first set was closer than the scoreline suggested but Aga stepped up her level in the second set. As seems to be the norm with every match at the moment, Aga produced some REMARKABLE shots. Once again, Petra Kvitova was on the brink of defeat; the Czech player rallied to secure back-to-back wins for the first time since the US Open for a 6-3 4-6 7-5 over Johanna Larsson; the Swede served for the match at *5-4 but Kvitova fought back well, playing patiently (Peak Patient Petra!) and coming up with some cracking forehand winners down-the-line. Unfortunately Larsson’s game crumbled with unforced errors from then on as Kvitova came through for another vital win. Kvitova will play Nicole Gibbs in the fourth round who is having a superb tournament and year! The American player comfortably saw off an error-strewn, Yaroslava Shvedova, 6-0 6-4 in 69 minutes. Hitting with pace & depth, anticipating well, & finding opportunistic winners on key points, Gibbs beats an inconsistent Shvedova, 60 64. Nicole Gibbs heaping praise on coach Roger Smith for her strong 2016. Says she’s less defensive now, working on an all-court game. In other results, Barbora Strycova continued her excellent form of late to reach the last 16, coming from a set down to beat Kurumi Nara, 3-6 6-1 6-2. She will play the resurgent, Simona Halep in the fourth round who saw off Ekaterina Makarova, 6-2 6-4, in Sunday’s late night match. Finally, Jelena Jankovic thundered past CoCo Vandeweghe for the loss of just one game (!) to reach the last 16 in Indian Wells for the third consecutive year. The shocks on Sunday came in the doubles draw as Alla Kudryavtseva and Vania King defeated the world number 1 pair, Martina Hingis and Sania Mirza, 7-6(7) 6-4. Linked below is an article about Vania and Alla with the WTA Insider… they seem to get on like a house on fire and will be ones to watch this year. And finally, returning to Saturday’s matches, here is Garbiñe Muguruza’s press conference after her second round loss to Christina McHale. She discussed her partnership with Sam Sumyk, implying that it is going well despite a few frosty on-court changeovers. March 14, 2016 in Indian Wells, Set Points, WTA. Despite what Muguruza says her attitude stinks and shes a disgrace to the sport. Top 5 player don’t make me laugh, after watching the whole match against McHale it was blatantly obvious that she couldn’t care less after she lost the 1st set. Have you ever seen a Top 5 player give up like that, it was almost Tomic-esque. Yes I have; Simona’s second set against Aga at the WTA finals last year was a belly flop on her part. Hopefully now that she’s working with Darren (Cahill) it will be a thing of the past. On the face of it, Garbine’s sitting really pretty at the moment; because of her media-friendly looks and personality (I like the way she says she gets ‘nervious’ before matches! ), as well as her successes in the sport including her coming runner-up at Wimbledon last year, she should be looking at a bounty of sponsorship deals in Spain and elsewhere. However, it all comes at a price, and it’s one she’s hinted at recently when she said she’s expected to win every time she steps onto a court and it’s clearly been getting to her. Maybe she’s got a bit of “Agassi syndrome?”; Andre Agassi famously said that he hated tennis because of the constant pressure, and I hope that if Garbine does have the same problem she finds a way to surmount it because IMO it would be a big shame if she didn’t. Even after nearly two decades its still amazing to witness Serena turning it on mid match! A really good win for her to come through.